Last week we got new pictures of you from a visiting family. These pictures are my lifeline-- they're the only glimpse into your life. So when I got these pictures, I noticed three things-- first, that you were crying your eyes out, second, that they had moved to the new building, and third, that you were back in your crib in the middle of the day. Sometimes, getting pictures of you is harder than not getting pictures at all. As a mom of (almost) six, I can explain away the crying-- maybe you'd been taking a nap, maybe the room was too cold, maybe you were sick. But when I only get updates of your sweet face once a month (or less) and you're crying in those pictures, I'm not gonna lie-- it does something to me. It's great that you've moved to the new building. Last year when we visited, we were really excited to see all of the babies and the rooms in the old orphanage, and the orphanage director was really excited to guide us through the mud to the building site of the new orphanage. I know it's been a huge project, and the space looks fantastic. You have a new crib and new bedding and there are murals on the walls and the ceiling. It's institutional, to be sure, but it looks like a nice children's hospital might in the United States, not a crumbling building with dangerous heaters at baby level. But back in the old orphanage, there was a room for the toddlers to sleep and a room for the toddlers to play. You spend nighttime and naptime in your crib, but for most of the day, you were on the floor (great) or in a walker (less great, but still better than the crib). When I talked to one of the other waiting moms, she said that it was her impression that you were now spending lots and lots of time in your crib. The good news is that it won't be much longer. But when I was thinking of you crawling around, learning to stand, maybe even learning to walk, that made the wait so much less anxious for me. Now, I'm just eager to get on the plane and get to you. It will come soon, but it can't come soon enough. 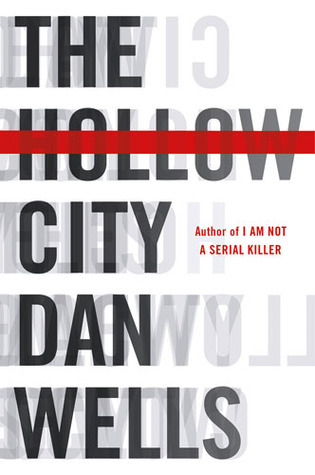 Dan Wells, of I am Not A Serial Killer Fame, gets into the mind of Michael, who wakes up in a hospital after a schizophrenic episode that left him with a two-week gap in his memory. Unfortunately, this gap coincides with a murder, and people think Michael may be tied to it in some way. It's a little hard to read a novel where the narrator is a schizophrenic, because it's difficult to know what is actually happening and what are his delusions, but that makes the first part of the book feel like an entertaining puzzle. Who is real? Who is in Michael's mind? I can't talk about the plot too much without giving away spoilers, but I was fascinated by what I thought the premise of the book was-- exploring the mind of a murder suspect with schizophrenia, much like Alice La Plante did with an Alzheimer's patient in Turn of Mind. But this is a Dan Wells book, and I could tell early on that he wasn't concerned with verisimilitude-- with making the details of the story hold up in real life, so I was not surprised when it took a decidedly more supernatural turn. A little disappointed, yes, because I would have enjoyed the book I'd created in my mind more (one more along the lines of Memento than Invasion of the Body Snatchers), but it's still well-written and well-paced, just not my kind of tale. Rose has finally developed an attention span for reading books (if I read really quickly and pick books without too many words). 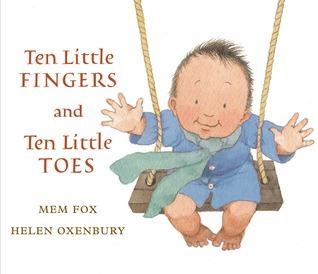 One of the few books that she'll sit through is Mem Fox and Helen Oxenbury's Ten Little Fingers and Ten Little Toes which Mimi and Granddad brought her when they visited last summer. The illustrations are adorable, and it shows babies from all over the world, including Asian babies, which are noticeably absent from most of the books we'd had until last year. About a month after we got the book, we saw your face for the first time. And the next time I read it to Rose, my voice caught a little bit on the refrain, repeated at least half a dozen times in the book: "And this little baby, as everyone knows, has ten little fingers, and ten little toes." "The baby's got all ten fingers and toes," is almost a stereotype in prenatal ultrasound. I remember hearing the techs say it when I was pregnant and thinking, "Duh, now move on to the real stuff, like the chambers of the heart and whether or not it's a boy or a girl." The possibility that one of my kids might not have all their fingers and toes didn't even register with me. You have most of ten toes. But honestly, we're not sure how many fingers you have. I know it's not ten, though. It appears more in the order of seven or eight. And from the moment I saw you, it didn't matter to me-- not even one little bit. I've seen pictures of you holding toys in your hands, clutching a bottle, even turning pages in a book. Other people might be surprised when they see your hands, but I am confident that they will soon realize that you are much more than your fingers. There might be times when people think you can't do something because of your hands. Kids might make fun of you. Adults might say stupid things. I might say stupid things. But I'll always be there for you-- to protect you, to fight for you, and eventually, to equip you so you don't need me to do those things for you. Most of all, I will love you. It won't be much longer now. Louisa Clark is twenty-six years old. She lives in the small English town where she was born, in the house where she was born. She's worked as a waitress at the same cafe for the last seven years, and dated the same guy for at least that long. And when the book opens, it seems likely that she'll eventually marry the boyfriend and die in the town where she's lived her whole life. Then Lou loses the job, and the only new job she can find is to become the caretaker for a quadriplegic. The quadriplegic, it turns out, is Will, a 35 year-old who was run over by a motorcycle while waiting for a ride to his job as a wealthy powerbroker in London. Since his accident, Will has been living with his parents and generally mourning the fact that instead of deep-sea diving and climbing mountains, he will spend the rest of his life in a chair, cared for by others. When Louisa discovers that she has been hired for a six-month trial period, and at the end of the six months Will plans to have an assisted suicide, she has a mission-- to show him that life is worth living and change his mind. But she ends up changed in the process as well. I've only read eleven books so far this year, so it seems a little lame to proclaim this my favorite read of 2013, but of the books I've read so far, it's a definite favorite. In fact, I was barely done reading it before I texted a friend and told her she had to read it and pushed it into her hands that night. It's just that good. You'll love it. You'll cry. You'll make your friends read it. And then you'll want it back so you can read it again. I read Portrait of a Spy, the prequel to The Fallen Angel, last year sometime. Portrait of a Soy is the eleventh book in a series of books about Gabriel Allon, an Israeli spy/art restorer who is one part Indiana Jones, one part Robert Langdon and one part Ethan Hunt. In other words, he's almost too good to be true. In the first ten books of the series, Silva introduces lots of complicated situations and characters. This probably makes the books incredibly satisfying for readers who have read all of the books. But I was lost reading book eleven. I thought the writing was good, so I decided to give this one a try, but I was disappointed to find that I was just as lost reading The Fallen Angel as I had been reading Portrait of a Spy. There's just too much back story, too many layers, too many cities, too many characters for a new reader to jump in mid-series. And I don't like the book well enough to go back and read the first TEN books so I know what's going on. 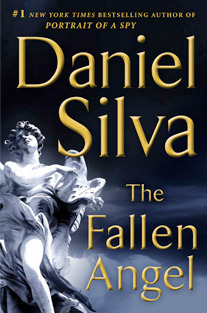 Anyway, for people who have read the first eleven books (which is probably no one reading this blog), in The Fallen Angel, Allon is "retired" and working to restore a Caravaggio at the Vatican. But someone ends up dead, and then someone else ends up dead, and pretty soon, Allon is jetting from Rome to Paris to Jerusalem to Berlin to Vienna to Switzerland and back again. I felt like I had whiplash and had entered a party where I knew no one and they were all old friends. The last hour or two of the book was pretty satisfying, but up until that point I felt hopelessly lost. We've entered the two-week wait. 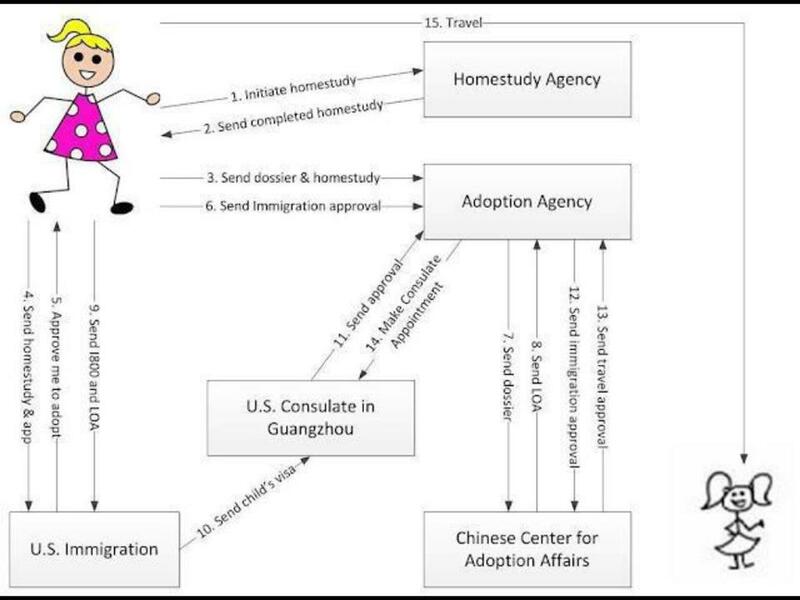 In almost all of the steps of the adoption process, the timetable is variable. It can take two months (like this time) or six months (like last time) to complete a home study. It can take a few days (like 21) or a lot of days (like 160) to get a Letter of Approval from the China Center for Children's Welfare and Adoption (CCCWA). But step eleven on the chart I posted a few weeks ago always takes ten business days. Step eleven is pre-approval for Eli's immigrant visa, and it is being processed at the US Consulate in Guangzhou, China (which is also where we will spend the last half of our trip). Our paperwork was dropped off on Wednesday, January 23rd and will be picked up on Wednesday, February 6th and overnighted to the CCCWA in Beijing that day (which is step 12). We will be waiting for our official travel approval (which is issued from the CCCWA) when Chinese New Year starts on February 9th. While the Article 5 wait is always 10 business days, the Travel Approval wait is highly variable. I've heard of people getting theirs in 3-4 days, and others waiting a month. Last time we waited 16 days. This time we know that the CCCWA will be closed for a week for Chinese New Year, so I'm expecting it to take about three weeks. If the approval isn't here by March 1st, I may have to place another moratorium on all friend calls until I get the call from my agency. We hope to leave March 13th or 20th (or maybe sooner if we're blessed with a quick travel approval) but we won't know any more than we know right now until we get the all-important phone call. Last year I bought a CD called "Simple Chinese for Adoptive Families," planning to listen to it every day on the way to and from school. I popped it in the CD player a couple of times, and pretty soon I was hopelessly lost. It hadn't been this way when I was learning French and zipped through hundreds of vocabulary words in a night. I gave up, reasoning that since I was adopting a baby, she probably wouldn't need me to have a huge vocabulary, and I haven't given learning Chinese a second thought. One of the things I've gleaned from both Kosher Chinese and from Deborah Fallows's Dreaming in Chinese is that it wasn't just me-- Chinese is a hard language for Americans to learn. 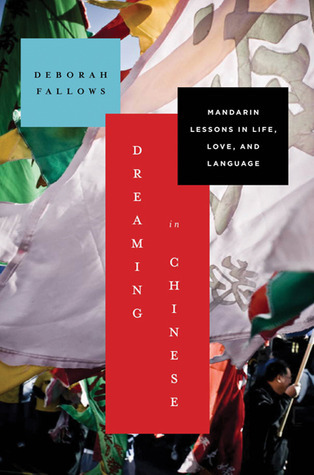 What I appreciated about Dreaming in Chinese is how Fallows relates what she's learned from her fledgling language studies to larger patterns she sees in Chinese culture. It sounds like she's making a lot of generalizations, but that's not how the book feels. She focuses on experiences from the years she and her husband spent living in Beijing and Shanghai to show how language and culture are related. As the parent of a child with Asperger's, I often wonder what is in store for his future. Will he move out of the house (now that he's in junior high, I'm confident this will happen)? Go to college (also a yes)? Get a job (still not convinced)? Marry someone? Stay married to that person? 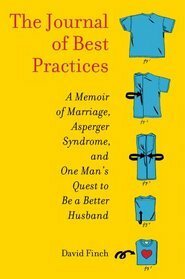 In The Journal of Best Practices David Finch explores what it's like for a person with Asperger's (in his case, diagnosed as an adult, although he seems at least as Aspie as my kid) to flounder in a marriage and then try to turn it around. Finch has a way with words, and he tells his story in a way that I wanted to keep reading. I'd heard him interviewed about his experience on This American Life several months ago, and I think that my initial desire to read the book was so I could hand it to Bryce and his future wife (if he ends up with a wife) to help them through the inevitable difficulties that Asperger's places on a marriage. But that wasn't why I kept reading. I kept reading because I saw so much of my own marriage, and all marriages, in Finch's marriage. And I saw that when one partner really works at overcoming their shortcomings and being a better husband/wife, it can really turn things around for the whole relationship. It was fun to follow along with Finch's "best practices." I love that he was unself-conscious enough to write honestly about both the man he was before he embarked on his quest, and his failures along the way. Daphne Lessing, a novelist and a college professor, is comfortable with her life. She teaches creative writing. She eats cheese quesadillas. She writes. And morning and night, she swims in her pool. She doesn't yearn for friends or companions, and other than her high school boyfriend, Steve, she hasn't had any relationships that she misses in her simple life. And then, one night, she finds the body of one of her students floating in her swimming pool. He's left her a note-- a poem. And Daphne's life is suddenly complicated-- because it turns out that the boy in her pool is the son she'd placed for adoption when she was a teenager, a choice she'd never second-guessed, a son she'd never thought much about. And in his will, this son has left Daphne as the guardian of his half-brother, ten-year-old Eric, who has Asperger's. Daphne agrees to take temporary custody of Eric, which breaks her safe little world, and her heart, wide open. As a mom of a preteen with Asperger's, a lot of Mills's characterizations rang true to me. But more important than that, Mills does a nice job creating a story with complicated, nuanced characters. Daphne is prickly-- and while she undergoes a transformation, she's still prickly at the end. In fact, all of her characters are complicated in interesting ways. I like that she doesn't take the easy way out and have everyone live happily ever after and fall in love. Mills also places the story within the LDS framework, but off to the side, with minor characters who are LDS, which sort of releases the narrative from being bound to our doctrines. The writing is also very good. Once I got into the groove of the story, I read it quickly. I hope to see this on the list of Whitney finalists in the General category. I think it will be a strong contender. The other day my friend Julia took me out to lunch. I'd spent the morning hanging out with your brothers and sisters, periodically breaking away from the chaos to check my email and the Facebook boards of other parents waiting to get their kids in China. The Facebook board is amazing-- it's really nice to have people out there who can support each other through the process, especially since it's a process that is so different from the way most people build their families. But it's also easy for us to spur each other on to become almost pharasiacal in checking off the steps to our adoptive kids. I've fallen in with about ten other ladies who will likely travel the same time we will (give or take a week, maybe), and it was a little hard to tear myself away from the computer to go to lunch with a real person. What if something happened while I was gone? As it turned out, I couldn't help myself, I checked my email during lunch and I had an email from the National Visa Center with our GUZ#. This means nothing to people who haven't been through the process, and in actuality, it's about a quarter of one of those steps I posted a few weeks ago on my blog. A teeny tiny wiggle forward. But still, I was eager to get home and write the email that would move us on to the next wiggle forward. I sat down at the computer desk, took a deep breath, and got ready to type. But out of the corner of my eye, I caught a glimpse of you staring back at me. We now have about 50 pictures of you tacked up to our bulletin board, but they've been there so long now that they're just like the other pictures and artwork in the room-- I hardly notice them. But at that moment it hit me that all of these incremental steps forward, these friendships I've made, these emails I've sent and the checks I've written, they're not for some great vacation with my mom-- they're for you. And while I know that, sometimes I'm afraid that I lose sight of the big picture and put too much emphasis on checking off the items on my list as quickly and thoroughly as I can. I love you, bug. It won't be too much longer. The list of steps grows shorter every day! We've had a stretch of super-nasty weather here in Salt Lake. It started around New Year when the temperature plunged to lows below zero and highs in the single digits. Then a little over a week ago, two feet of snow dumped on our fair city, and when the snow blew out of town, it brought in an inversion that has stayed for at least a week. I can't see the mountains. The mountains are huge, and they start a mile from my house. It's the kind of weather that keeps runners inside. For a few days, I did stay inside, on my treadmill, which is worse than anything except not running at all. Then I started up outside again, and I needed something to keep my mind off the fact that my fingers and toes were turning into blocks of ice. I was lucky to have Divergent to keep me company. 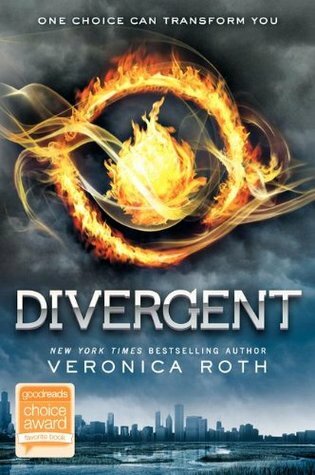 My friend Michelle recommended Divergent, and although I'd seen it in the Audible sales from time to time, I'd always passed over it, writing it off as "just another teenage dystopian romance" in the vein of The Hunger Games. But I trust Michelle, so I downloaded the book, and it was another that kept me listening until the kids begged me to turn my iPod off. Beatrice is a sixteen-year-old living in Chicago, but a very different Chicago than the one we know. Residents of the city are sorted into one of five tribes (think Hogwarts), each based on a character attribute that the people in that tribe have or want to have (a flawed premise, but you have to buy into it if you want to enjoy the rest of the story) . The sorting is based on an aptitude test, and when Beatrice takes the test, she's told that she's divergent, which means that she'd do equally well in more than one of the tribes. But she chooses Dauntless (the brave ones) instead of Abnegation (the self-sacrificing ones), the tribe she'd been brought up in. Most of the book centers on Beatrice's training in Dauntless, and her budding relationship with Four, one of her trainers. But as the story progresses, the plot thickens and the tribes, which have lived together peaceably for many years, suddenly face an uprising. I can always tell how much I'm into an audiobook by whether or not I turn it off when I walk in from my run in the morning. 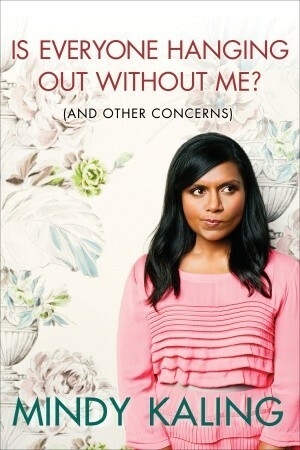 Some books are not great morning companions, but Mindy Kaling's book kept me running, then kept me company right on through laundry and making beds and a hundred other mundane tasks. It was so entertaining that it only took me 1 1/2 runs to finish (it's a short book, but I can usually get a couple of weeks worth of runs out of a single book). In Is Everyone Hanging Out Without Me? Kaling gives a brief trajectory of her life, mostly in relation to her work as a comedian. She talks a lot about embarrassing scenes from childhood, being "chubby" (she's a size 8-- FYI, which is so far from chubby anywhere but Hollywood), her time at The Office, shopping, boys (her chapter on boys and men is brilliant), her time in NYC, her yearning for her own husband and family, and her strong relationship with her parents. I laughed, I didn't cry, and I had an awesome time listening. As of yesterday, we have reached step 10! Our I800 was approved! The next two steps take about a week and about two weeks, respectively, so we hope to be waiting for step 13 by Chinese New Year (February 11-15) and hope to have our travel approval the first week of March in order to travel in the middle of the month. I spent the last few days making a baby book for Rose. It was fun to relive the last sixteen months since we knew she was going to be our daughter. Even though I know she'll probably only be interested in looking at her pictures for the next few years, I also decided to include all of the letters I wrote to her while we were waiting. Holy cow, there were a lot of letters. And, of course, that made me feel really bad, because I haven't written to you nearly as often as I wrote to Rose. Back in August, when we found out about you, I told myself that the wait would be too long to write every week. Back in August, I was trying to pace myself because I knew that our wait for you would be long and hard, and the longer I could hold you at bay, the easier it would be. I'm not holding you at bay any more. With great luck, you'll be in my arms in just two months. With average luck, it might take an extra week or two. There's not a waking hour that goes by when I don't think of you, or when someone in the house doesn't talk about you. We want you and anticipate you just as eagerly as we anticipated Rose's arrival last year. But another thing I noticed in those letters is how starry-eyed and idealistic I was while we were waiting for Rose. Even though I was already a mom four times over, even though I knew that parenting was at least as much hard, boring work as it was laughter and rewarding times, I put on some weird soft-focus lens when I thought of Rose. I said I would stop running for her. If anything, I need the running, the sanity break, all the more now. I said that I would give up writing and friends and obligations for her, but somehow, I've managed to get myself even more obligated. I like being obligated, and she manages to deal with it (and I do feel a little bit bad about that). I think that part of it was because I felt that adopting her had to transform me into a more selfless, more Christlike kind of person. But I'm still the same person, just with more kids. I implied that I would be the best mom ever for her. But most days, I find myself muddling through, just like I did with the older kids. Just like I'll muddle through with you, too. And maybe that's why I can't write the starry-eyed letters to you, Eli. Because when we were waiting for Rose, I'd had five years to forget that having a baby and a toddler is hard work. And it's not that I don't want to do my best as a parent, it's just that my best is sometimes not so great. And being part of a big family, while it has its benefits, also has its drawbacks. You'll never be the only child in my heart, on my mind, or probably even on my lap (your big sister is mighty possessive). So while I want you, desperately, I also feel like writing idealistic letters would be a little bit disingenuous. We'll do our best to be the best family we can for you. And sometimes, we'll fall short. But no matter what, we will always want you and love you. And I'll try to do better with the writing thing. It's only two more months-- it's the least I can do. 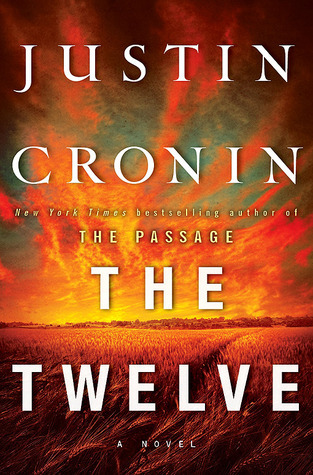 One of the first Audible books I ever listened to was Justin Cronin's The Passage, which is the prequel to The Twelve. The books are about a dystopian world in the near future and about 80 years into the future, when the planet has been overtaken by genetically-engineered vampires. Until listening to The Passage, I was not a fan of dystopian/horror books at all, and I was surprised at how much I liked that book. Cronin developed great characters, fractured his characters in an interesting way, and wrote a book that was enjoyable to read, despite all of the death. So I was excited for The Twelve. Like its predecessor, it's well written with great characters. But there are SO many characters that it was a little hard to follow. Cronin doesn't pander to his audience by refreshing the back story, so I spent the first hundred pages or so trying to figure out who all the characters were (it had been several years since I read the first installment). And then it was a lot more death and killing. Audible chunks its books into easily downloadable segments, and this book had four chunks, each 6-7 hours long. By the fourth one, I was hooked by the story, but it took a while to get me there. I'm not sure if I'll invest another 26 hours in the final installment of the story when Cronin finishes the trilogy. With only a couple of months until we head back to China, I've started reading books about China again. 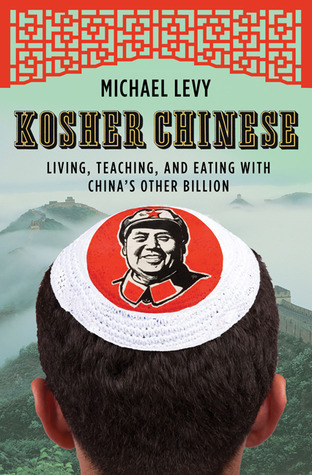 I read Michael Levy's memoir Kosher Chinese, detailing his two years at Guizhou University with the Peace Corps, in less than a day. Levy's voice is engaging, the material is entertaining, and the book is very readable. He focuses not on the coastal cities of China, which he thinks are quite westernized, but on the smaller, interior places, where the worldview is quite different from our own. He tells entertaining stories, eats a lot of scary food, and does a great job conveying the idea of guanxi-- the importance of relationships and connections-- an "I scratch your back, you scratch mine" kind of deal. I spent my time in China in the places Levy would call the "westernized coastal cities" but still found it to be very different (especially some places in Nanjing) than the world I'm used to at home. So I kept having to remind myself that "my" China was still a lot more familiar to me than Levy's China would have been. A few weeks ago, Ed came up to our bedroom and said, "I can't believe it. Mike Crapo was arrested for drunk driving." For those of you who aren't political junkies like my husband, Mike Crapo is a US Senator from Idaho. A Mormon US Senator from Idaho. A former bishop. A stand-up kind of guy. I don't presume to know what led up to Crapo's arrest or what kind of guy he really is, but I was reading City of Saints at the same time I heard about Crapo's arrest, and I couldn't help but see parallels between these events in our day in the events in the novel. 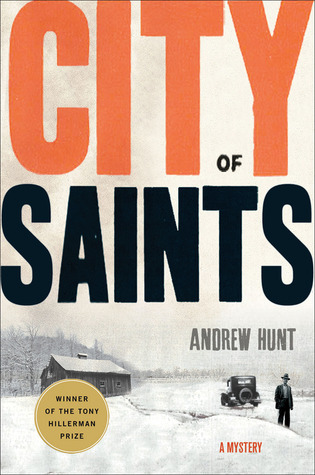 City of Saints takes places in the 1930s in Salt Lake City, and opens with the gruesome murder of a doctor's young wife. Art Oveson, working with the Salt Lake County Sheriff's Office, is put on the case. Oveson is just the kind of guy you would expect to find in Salt Lake City in the 1920s-- he's a returned missionary, married within a year of arriving home from his two years in Southern California, father of two children. 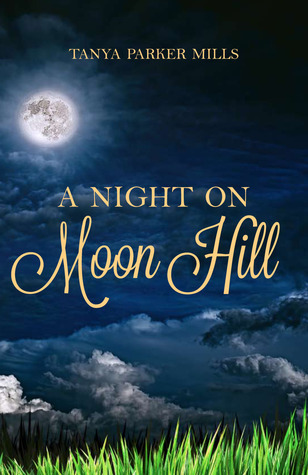 But Oveson soon learns that the other men of the city-- the prominent lawyer friend of the doctor, the head of the sheriff's office, and pretty much everyone else in town, has blood on their hands. City of Saints was an entertaining, enjoyable read. Oveson's voice was perfect for a small-town hick, but it didn't feel comical or contrived. As I've read mysteries about LDS characters for the Whitney Awards for the last few years, I've noticed that authors seem to be reluctant to make the bad guys in their books Mormon, but Andrew Hunt doesn't seem to have that same fear, and I'm glad for it. Salt Lake is a pretty great place to live, but I know it isn't perfect, and neither are the people who live here. The book is based on a series of actual unsolved murders that took place in the city at the same time, and Hunt took his time with the historical details to give the piece the perfect feel of the period. Serena Frome is a recent graduate of Cambridge with a third in maths (which is barely graduating from college, from what I gather), a love for contemporary literature, and a secret affair with an older professor. During their summer of love (this is 1972, after all), the professor confides that he's really a member of MI5, part of the British Secret Intelligence. They part ways, and Serena soon finds herself being courted for a job with MI5. 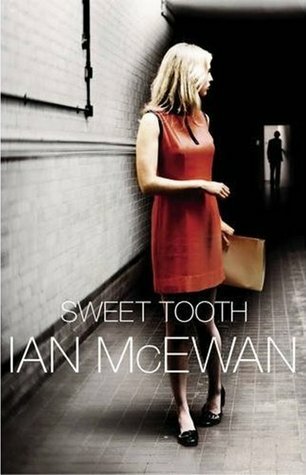 She works as a glorified secretary until she's recruited to work on Sweet Tooth, a project where she's one of several agents who courts authors and pays for them to do independent writing in hopes that they will write something favorable to the mission of MI5. The whole deal feels a little bit fishy to Serena, but it's a job, and after rejecting the advances of Max, her new boss, she finds herself quickly falling into an affair with Tom Haley, "her" author. 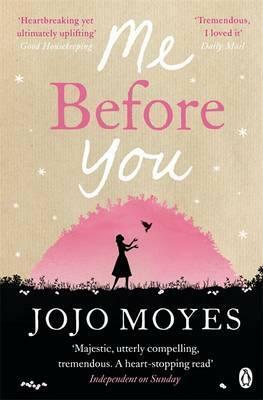 When she finds herself falling in love with Tom, she has to decide how much she will tell him about her motives. I love the way McEwan writes. But his writing deserves to be savored, and I read like a fast food eater. As a result, I often feel like I miss a lot of the nuance of McEwan's writing. I enjoyed the novel, but I felt I read it too quickly to do it justice. I often think of authors why rely on twists of plot as entertainers, and while I would put McEwan more on the artist side on the artist/entertainer divide, there is a significant, awesome plot twist that made the slow, pondering first 80% of the book worth reading. This essay was originally published in the Spring 2012 issue of Segullah. Segullah typically updates its online content a few months after the print copy of the journal is published, but I wanted to share this with some friends a little sooner. I hope that's okay! During my first pregnancy I repeated a single line almost every day: “I don’t care if it’s a boy or a girl, as long as it’s healthy.” But secretly, I knew what I wanted—I’m the oldest daughter of an oldest daughter of an oldest daughter and couldn’t picture myself with anything other than a girl first. But our baby’s gender was something I had no control over, so I lied through my teeth. Saying I wanted a healthy baby was the only acceptable answer, right? Although I knew what I wanted in a baby, I also knew I was still basically a kid myself—I had enthusiasm and intelligence to be a mother, but I didn’t have wisdom. In the place of wisdom, I had faith that God would be both just and merciful; He’d send us the right baby for our family. Twelve years and four kids later, we’re expecting a baby again. But this time the wait involves no ovulation predictors, pregnancy tests, fear of miscarriage, doctor’s appointments, ultrasounds, or well-meaning strangers patting my stomach. This time around, I’m not pregnant. It’s hard to say why we decided to adopt, other than it felt like the right thing to do for our family. I could say I strong-armed us all into adoption because I wasn’t ready to be done having babies yet. I could say it’s because I’m crazy when I’m pregnant and I didn’t want to put my husband, Ed, through that again. I could say it’s because we’ve been feeling that we’ve been given much and saw this as an opportunity to share. I could say we hoped that adopting internationally would give our other kids a chance to experience a new culture and see that people in most of the world do not live lives of ease and privilege like they do. All those reasons were part of the decision, but mostly it was just a feeling we had. 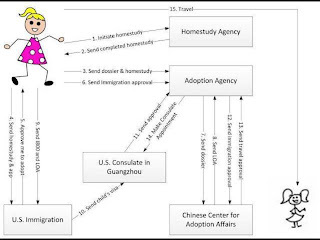 There are several dozen countries that allow Americans to adopt their orphaned and abandoned children, and after much pondering and discussion, we decided to adopt from China. The variables of uncertainty are different in international adoption than they are in conceiving and bearing a biological child. At first it seemed that through adoption we’d have more control than we did with our other children. While I couldn’t request a specific gender for any of our biological children, we have stated a preference for our adoptive child to be a daughter. And while I remember freaking out and crying whenever a home pregnancy test came back negative because I really wanted to have a baby in October, not November or December, this time around we requested a specific age. Chinese children of all ages are in need of loving homes, and in this program most families are able to choose the child that’s just right for them. Our personal adoption guides will get to know your family and help you find your son or daughter. You can adopt an infant or young child with minor to more serious medical needs that are typically manageable and correctable, or an older child with no identified health concerns. As we started to fill out our paperwork, another vision of a baby girl coalesced in my mind: she’d be tiny, with thick, straight, dark hair. She’d be shy, but I’d be able to coax a smile from her. The six of us sat around the kitchen table one night and decided to name her Rose. The adoption forms looked overwhelming, but started out straightforward enough: name, birth date, social security number, employer information. Then they got down to the hard questions: How will you respond to strangers who ask if your child feels lucky to be adopted? What are some techniques you plan to use if your child has a hard time attaching to you? How will you discipline your child? After we’d filled out the forms and paid the application fees, a social worker showed up at our front door one day last March to interview us and observe our family. I mumbled an answer and she said she’d email a list of websites I should check out on education for adoptive parents. The list went on for three columns, filling the entire page. Ed and I sat on our bed that night, checking and unchecking boxes. I erased carefully, trying to make the square unblemished and white, feeling guilty about excluding a child who could possibly be ours. But we have four children. We’re busy with work and school and church callings and piano lessons and ski trips and everything else that comes with having a life that’s rich in happiness and material blessings. Despite those blessings, we found ourselves trying to be realistic. How much could we handle? What kinds of special needs could we take on without compromising the needs of our kids? Yet, if we were adopting instead of conceiving a biological child to do a good thing for someone who really needed it, didn’t it seem a little bit disingenuous of us to only check the minor, correctable needs? King Solomon wasn’t the parent of the baby he ordered cut in half. Perhaps he could be such a good judge because the baby in question wasn’t, and never would be, his. Since Rose wasn’t an actual, living, breathing, tangible little person in our arms yet, we could be a little more objective, weigh the pros and cons. Yet we felt the tug of compassion, the yearnings of countless special needs babies to be held. Having control over gender and age had seemed like fun—Maren, our five-year-old, had even called it “ordering a baby”—but choosing among special needs was no fun at all. It felt like playing God, and not in a good way. Of course, the most merciful thing seemed to be to check every box, to say we were open to whatever eventuality might come our way. Although we didn’t recognize it at the time, that was what we did when we conceived our biological children. But choosing Rose is an active, tangible choice, and what may be the most merciful thing for a special needs baby might not be the most just option for our family as a whole. It wasn’t like we didn’t know a little bit about special needs already. That first child, the one who would be healthy, the one who would be a girl, arrived on time—a boy who looked like a wizened little walnut. I know all babies have an old man look, but at four pounds, twelve ounces, Bryce looked more like he’d been born in a concentration camp than a suburban hospital. After a few frustrating days of force-feeding him around the clock, the doctors proclaimed him healthy enough to go home. “We won’t be able to tell if there’s any permanent damage from his malnourishment in utero until he gets a little older,” they said. For a while, things seemed fine. He grew quickly, tripling his body weight in two months. He was fussy and asthmatic, but hit all of his developmental milestones on or ahead of schedule. It wasn’t until Bryce started school that his problems became evident—it was hard for him to make friends, to sit, to participate in group activities, and his ability to hyperfocus on his interests was a double-edged sword. At five he was diagnosed with ADHD; we added anxiety at nine and Asperger’s at eleven. When Bryce was a year old, the age I imagine Rose to be right now in China, we had no idea that our path with Bryce would be paved with significant challenges alongside the joys. Do I cheer for Bryce’s successes? Of course. It makes me happier to have him say, “thank you” spontaneously, or bring in the newspaper without being asked, or practice the piano from start to finish without guidance than it does to see my name in print. Do I love him just the way he is? Absolutely. But if I had a magic wand, I’d take away his challenges to make all of our lives easier. And then there’s Isaac, who lived a charmed life his first three years. Sunny and social, he followed his big brother and sister around the house, making everyone laugh. Then one morning he woke up with a fever and couldn’t walk. In the four years since, he’s endured multiple hospital stays, physical therapy, two full-body casts, and five surgeries. Once again, his challenges weren’t visible in his toddler years, and they’ve made him the boy he is today, but when I listen to him crying in pain or help him hobble to the bathroom after surgery, I wish I’d been able to prevent the bacteria that made him sick from ever entering his body. Annie, at nine, is the daughter I wanted when I dreamed of my daughter—she’s responsible and helpful, beautiful and intelligent. Maren, my little shadow, loves me so much that she wants to sleep with me at night and leaves me love notes around the house. Both girls have been free from the health problems their brothers have faced. Twelve years into parenting, I know enough to know that we had no more control over getting our comparatively “easy” daughters than we have had over the more “difficult” challenges we’ve had with our sons. I also know that all children are an act of mercy from God: sometimes the act of mercy is that we get a child who doesn’t challenge us; sometimes the mercy is that they do. Still, I don't have God's wisdom, or Solomon’s. With my imperfect, myopic vision, I just want to make things right for my boys. I want life to be easy for them, and easy for our family. I want them to do their homework and play soccer and go to college and go on missions and get married. But I also recognize that the easiest path might not be the best path for their individual growth or for ours as a family. And yet I can’t help but think that although, in our boys’ cases, we’ve accepted that the realities of life sometimes interfere with our expectations—and that’s okay—with Rose, however, we’re going into the arrangement knowing she’ll have challenges. Bottom line is, do I have any right to make it harder for my family on purpose? I had a vision of my first daughter, and when that daughter turned out to be a son, it was okay, because we knew we would have more than one child. When Bryce got older and struggled, it was easier for me to bear because he had siblings who would love and accept him. In China, Rose’s birth parents probably didn’t say, “The gender doesn’t matter as long as the baby is healthy.” They, like most Chinese parents, likely felt pressure to produce a healthy baby boy. And when their baby arrived, neither healthy nor male, I can only imagine their devastation that this baby represented their only shot at parenthood. On the other side of the world, we can choose whether to make the daughter they created a part of our family. When we get our match, we’ll have seventy-two hours to consult with our doctor and decide if that child will fit well in our family. Even after we’ve picked a child according to our specifications, we still have the right of refusal, the right to say, “Let’s try for a better match next time.” I choose to believe that Rose’s birth parents decided she would live a better life and have better opportunities with the possibilities for adoption, and that choosing to leave her in a park or a marketplace was a heart-wrenching decision when there were no better alternatives. But will we be able to provide her with a better life? Will we be the best parents for her special needs? Will I know Rose as my daughter when I see her picture in my email inbox? Even though I’ve read a stack of books three feet tall about China and international adoption, I don’t think I'll ever feel equipped to make an informed judgment over whether or not to adopt the baby who may become ours. That’s where I’ve come to understand that Solomon needed less wisdom than God—Solomon only needed to decide which of the two women before him had borne that baby, but God has to match up families, people who will be together not just for fifty or seventy years, but forever. And even though I would have readily accepted some control over that first baby I was carrying, I don’t want that control any more—it’s too much responsibility. Checking off the boxes on that special needs page was one of the hardest jobs I’ve ever had as a parent, and I’m thankful that, up until now, I haven’t been in a position to choose my children. It’s impossible to make the “right” choice as far as children are concerned. As parents, we can never know what challenges and issues will arrive in any child's life. Adding any child to the family, either from adoption or conception, is simply a leap of faith. If all I had was a label and a paragraph of my boys’ medical histories, I know I would have been scared off by “asthma, ADHD, anxiety, and Asperger’s” or “MRSA and complicated femoral fracture requiring multiple surgeries,” but my boys have been two of the greatest joys of my life. I don’t feel robbed as a parent because their needs have been more complicated than those of their sisters. I’m glad I didn’t know the end from the beginning, glad I never had the chance to turn away from being their mother. And when we choose Rose, I hope we’ll have the wisdom to make the right choice, and the love necessary to never look back.